The late 70’s and early 80’s was a golden age for video games. Arcades were a thriving hotbed of innovation and revolutionary games were released which defined the genres we refer to today. Atari Inc. was one of the pioneers. They were masters of the vector game format and dominated the first arcades with classics such as Asteroids, Battle Zone, Lunar Lander, Gravitar, Tempest, and the stunning Star Wars. 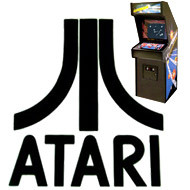 Unlike many of their competitors, Atari games emulated real-world physics with custom-built cabinets and controllers. And let’s not forget forget their flawless bitmap-based games such as Breakout, Centipede, Pole Position, Crystal Castles, Gauntlet, Paperboy, and the amazing Marble Madness. These first games were basic compared to today’s multi-million dollar epics, but they were simple to understand, fun to play, and totally addictive. Their longevity has been impressive; millions of people still play Asteroids — will you still be playing Call of Duty: Modern Warfare in 30 years? Asteroids — the original and the best. The premise is simple — destroy all the asteroids — but the frantic pace and sound effects are perfect. Battlezone — I remember seeing Battlezone for the first time; it changed my perception of what games could do. Experience the fear and elation of escaping from an enemy tank. Lunar Lander — ludicrously tough, this game inspired many kids to want to become an astronaut. Crystal Castles — I have to admit that I always considered CC to be for girls, but it was one of the first isometric 3D games, featured cute graphics and a great trackball controller. Yar’s Revenge — the best selling Atari 2600 game. It’s basic, but I bet you give it a go. Adventure — considered to be the first action-adventure game. It hasn’t aged well, but the game’s concepts are still used today. You’ll waste more time on these today than anything else! Let’s hope they release more soon … my vote would go for Marble Madness, Gauntlet, Star Wars and The Empire Strikes Back. What was your favorite Atari game?